Handmade Journals, Cards, Accessories & Digital Art. Whimsical woodland themed paper crafters pack, 2 sheets, A4, 300DPI, birds, animals, mushrooms and insects. Announcement We have Handmade items and plenty of Digital Items to help with your crafting, journal/card making and other crafty projects. Dont forget to like,follow & subscribe to us on social sites to keep up to date and view some great videos. We also follow and like back. We have Handmade items and plenty of Digital Items to help with your crafting, journal/card making and other crafty projects. ATC Birds theme, digital collage sheet, 6 ATC images 2.5" x 3.5", 300DPI, Instant Download. 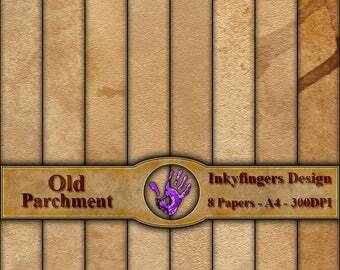 Horizontal and Vertical Lined Old Parchment distressed papers, 8 papers, A4 size, 300DPI. Australia themed Paper crafters pack, 9 sheets, A4, 300DPI, Distressed finish, Inspired by our flora and fauna and historical events. Round Jam Labels, wide range of fruit, 8 single labels with area for name or ingredients, 8 Sheets with 12 labels on each, Digital Download. Coloured Marble texture, Digital Download, 8 papers, A4 size, 300DPI, Great backgrounds for journals/cards and any other crafting projects. ATC Spring Butterflies theme, digital collage sheet, 6 ATC images 2.5" x 3.5", 300DPI, Instant Download. ATC Travel theme digital collage sheet, 6 ATC images 2.5" x 3.5", 300DPI, Instant Download.